Mercure Wellington Central City Hotel & Apartments is located in the heart of the city, offering modern, self-contained and spacious accommodation. The One Bedroom Suites have a separate lounge, dining/workdesk and kitchenette (on request only). 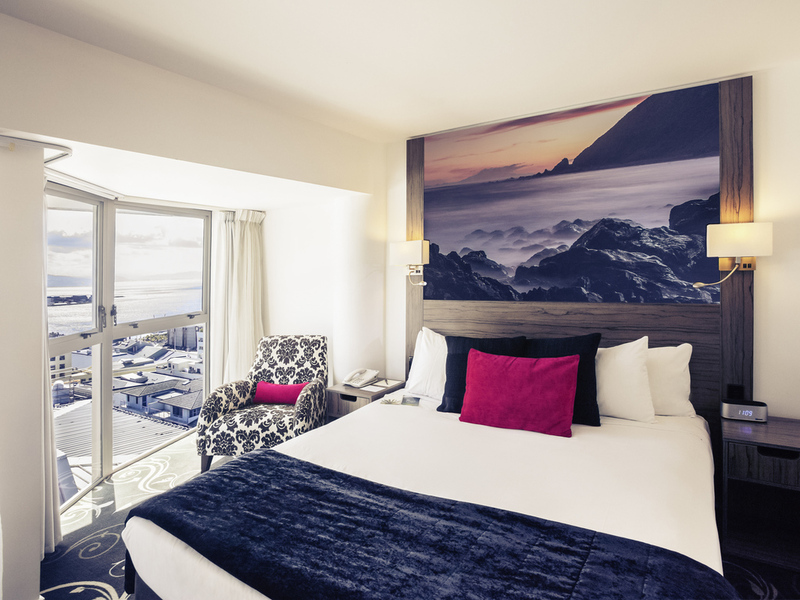 Some of these rooms also have stunning views over Wellington City and its harbour. The Two Bedroom Suites have an even bigger floor space with a large open plan lounge, dining and full kitchen facilities, which leads to two double bedrooms and a bathroom. Located in the heart in the City, close to business and tourist attractions, step outside and you are minutes away from wellingtons famous Courtenay Place renowned for good café , bars and theatre. Mercure Wellington Central City Hotel & Apartments also offers a charge back from Abel Tasman Hotel Bistro 169, a 1 minute walk from the hotel.